Ultimate Ears has launched the UE Roll 2 portable Bluetooth speaker. Priced at Rs. 8,495, the speaker will be available from September 25. The company says that the new speakers offer 15 percent more sound as compared to the first UE Roll, as well as increased wireless range of 100 feet. However, the UE Roll 2 retains the disk shaped design of its predecessor. The speaker is waterproof and is available in Volcano, Atmosphere, Sugarplum, Habanero colour variants. Today Ultimate Ears continues to push the boundaries of innovation and design in its portable wireless speakers with the addition of UE ROLL 2 to its vibrant lineup of anywhere-you-go-proof wireless mobile speakers. Starting first with UE BOOM in 2013 and now reaching new heights with the introduction of UE ROLL 2, UE continues to reinvent the Bluetooth® speaker category, for everything from design to sound. 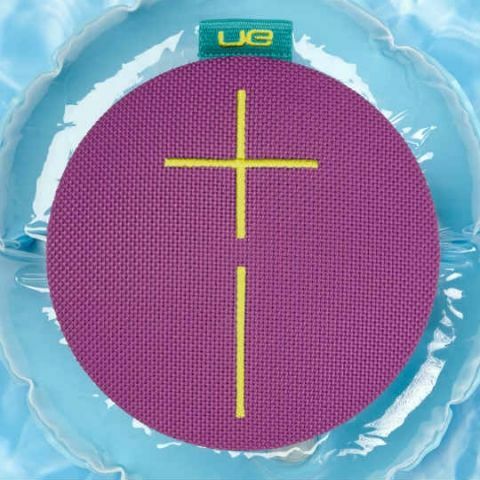 Whether at the beach or backpacking, UE ROLL 2 brings even more to the party, with 15 percent more sound and an increased wireless range of 100-feet, all while keeping the sleek, disc shape design of the original UE ROLL. Weighing in at just over half a pound, the UE ROLL 2 packs in more sound without adding extra size or bulk.